The regular learning meetings were held in OFFICE KTK up to April for 5 years, but now in NY OFFICE now from May on. The meeting is to be emceed by Mr. Noel Russell on May 10th and the discussing theme this time is “Facing ax from univ. 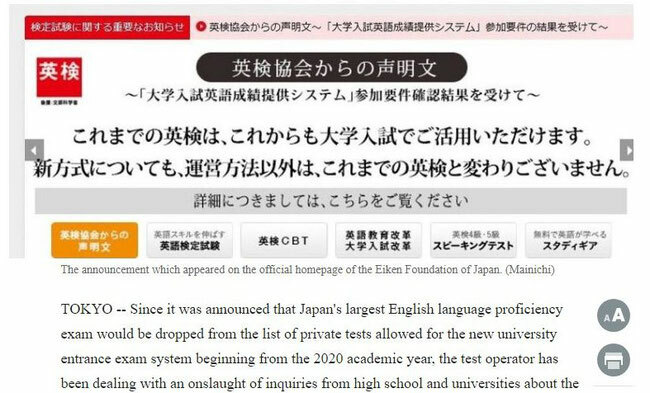 entrance exam system, 'Eiken' operator flooded with inquiries”.